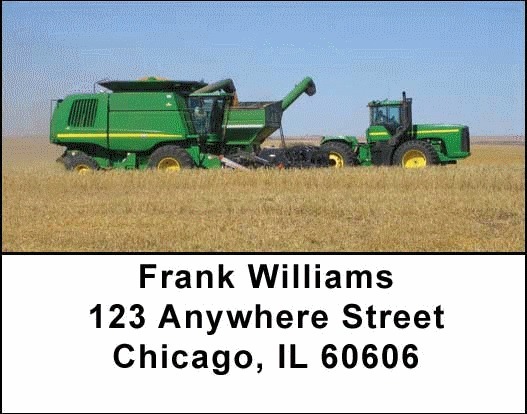 "Big Green Machines Address Labels" product is already in your cart. Farm lovers will enjoy these four images of Big Green Machines on their checks. These checks will thrill farmers and country folk. Big Green Machines Address labels are self adhesive. Matching checks are also available.